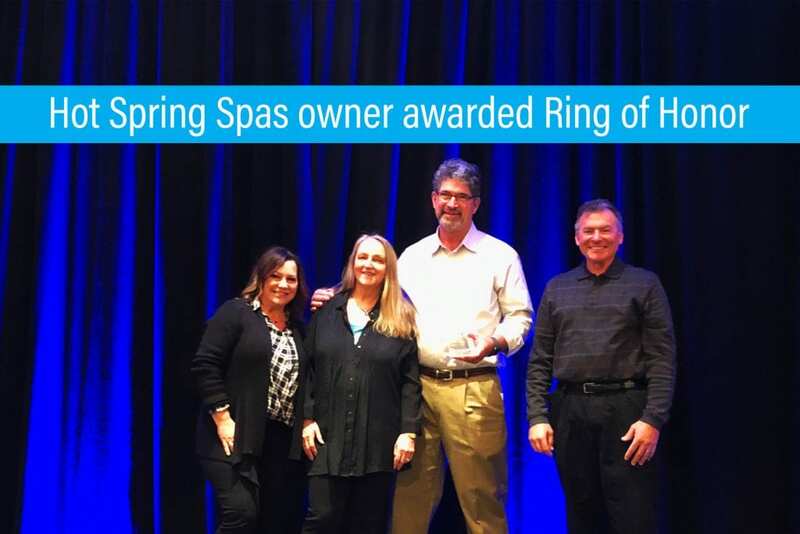 The former owner of Hot Spring Spas of Santa Cruz and San Jose was honored earlier this month at the Hot Spring Spas annual dealer conference with a lifetime achievement award. Patrick Carstens, who started Hot Spring Spas of Santa Cruz and San Jose in 1976, was inducted into the Hot Spring Spas Ring of Honor. The award is given to him for his lifetime of work supporting the Hot Spring Spas brand and the hot tub industry. Hot Spring Spas of Santa Cruz and Hot Spring Spas of San Jose were started by Carstens and a previous partner in 1976. They were joined by Sisk in 1979. Carstens and Sisk have served the community for decades and introduced thousands of people in those communities to the hot tub lifestyle. A few years ago, Watkins Wellness began doing something different to show special recognition to certain individuals that have committed themselves and their livelihood to our industry and brand, explained Cori Ritter, the Manager of Retail Marketing at Watkins Wellness, which manufactures Hot Spring Spas. In those instances, the individual is inducted and forever memorialized as a hero and one of the “greatest” in the franchise’s history. The award is awarded to an individual, not a company. 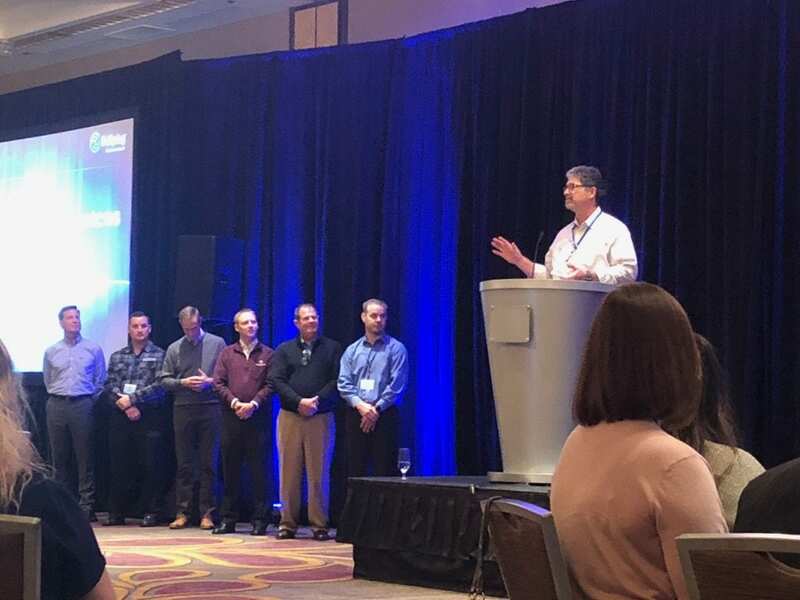 And the recipients are inducted for a career and a lifetime of achievement and contributions to the success of the Hot Spring brand. George Dahlheimer, of Hot Spring Spas of Dayton, Ohio, was also Inducted to the Ring of Honor this year. We, at The Spa and Sauna Company, are truly grateful to Patrick and Lynda for all they have done for the Hot Spring Brand and the hot tub industry.